Big Brother Gossip: I'm Back!!! Ok, so part two of my big film adventure is over and I'm back on my couch with the feeds on my laptop and my overly-packed DVR on my big screen. 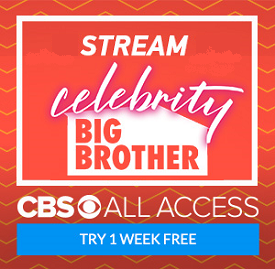 With the help of Colette's blog and a few other sites, I did keep up with what was happening in that psycho Big Brother house. All I can say is that this cast is half nutjobs (Audrey, Day, Austin, etc.) and half complete bores (Meg, Shelli, Becky, etc.). For my purposes, I want the nutjobs to last as long as possible. Due to the holiday, however, there will not be an episode of the Big Brother Gossip Show this weekend. I'm sorry that we couldn't work out an alternate day/time for the broadcast, but we'll be back next week with our wacky take on everything that happens on the live feeds! Now go drink up, light some fireworks, and fight with your neighbors. That's what the Fourth of July is all about!